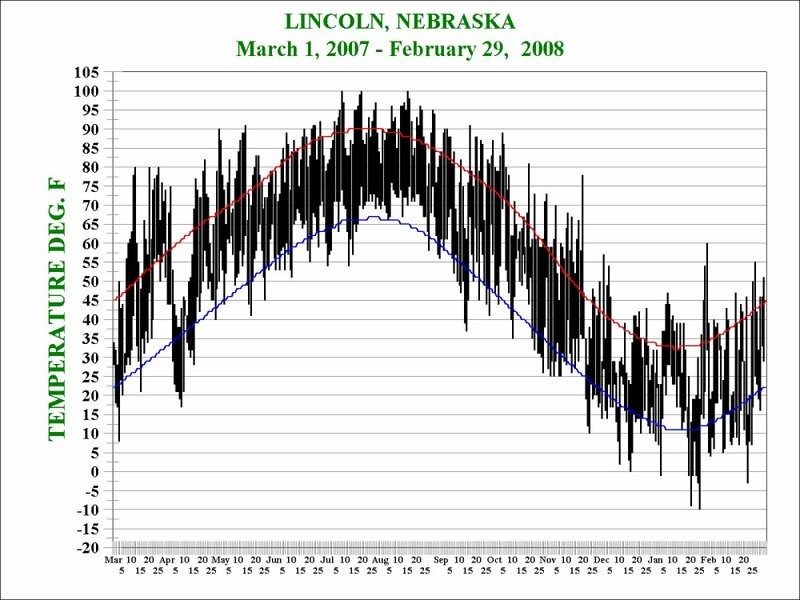 Daily high and low temperatures for Lincoln, Nebraska. The top of each vertical black bar is the high temperature for the day and the bottom of each vertical black bar is the low temperature for the day. The curving red line is the normal high temperature and the curving blue line is the normal low temperature. the high temperature for the day was 43 F and the low temperature for the day was 17 F.